SERP is personalized with many content types shown above organic web listings. SEO keyword target list must be refreshed periodically, focusing on keywords with the highest upside. 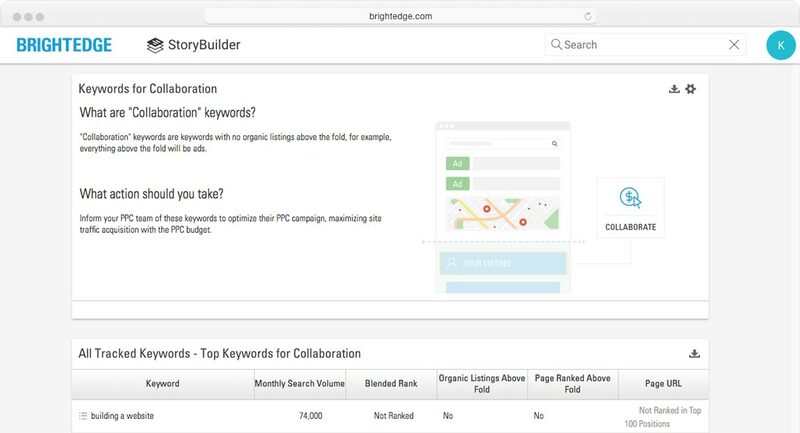 Whether you are developing an initial set of SEO keyword list or refining the high-value keyword list, leverage BrightEdge for a complete solution. With just a few clicks you can develop a comprehensive list of keywords most relevant to your business. 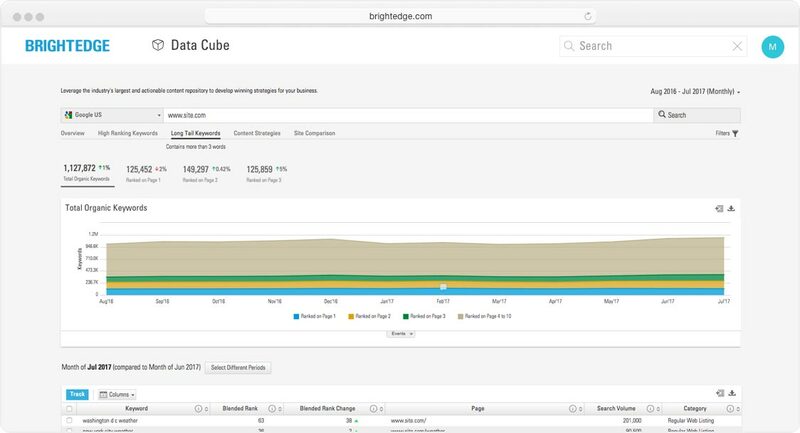 Data Cube reveals the full set of keywords that your current content ranks for, as well as those keywords that your competitors are ranking for, but your site doesn't. No need to feel overwhelmed if your initial keyword set is too large. 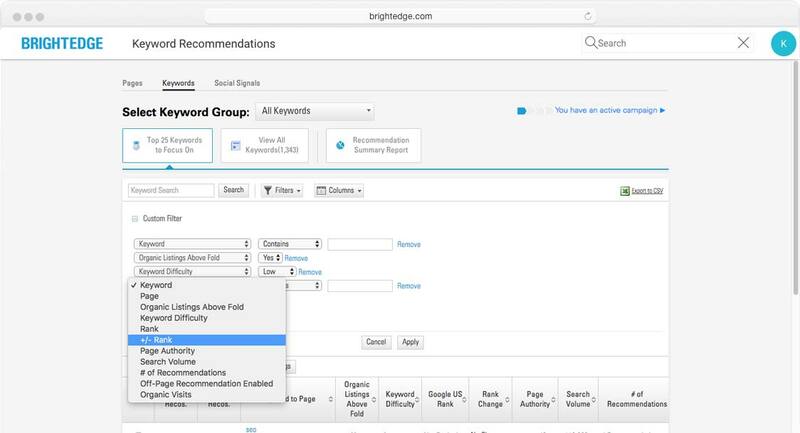 BrightEdge has robust filters within Recommendations will help you refine the keywords into smaller sets of high-value keywords. There are many conditions you can apply, such as "Keyword Contains," "Search Volume," and "Keyword Difficulty." On the SERP, listings shown above the fold get 69% more clicks than those below the fold. 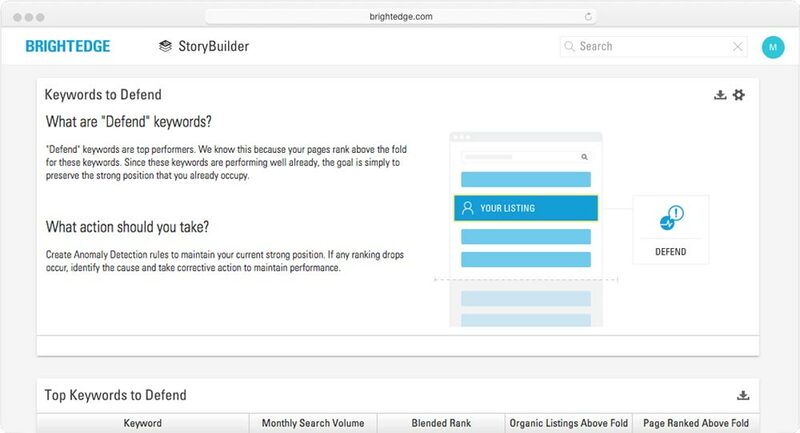 BrightEdge's Intent Signal dashboard uses a proprietary visual parsing technology to reveal whether a keyword has any organic web listing above the fold and show you where your content ranks. If your content page is one of those above-the-fold listings, defend your position with Anomaly Detection. If your content is ranking below the fold, or if you don’t have content for certain keywords, follow the AI-powered Recommendations to develop optimization plans. Some keywords do not have organic web listings shown above the fold because other content types are occupying the highly coveted space on SERP. Use Intent Signal dashboard to identify what these keywords are, so you can dominate above-the-fold visibility with PPC ads. SEO perfection is built over many iterations. 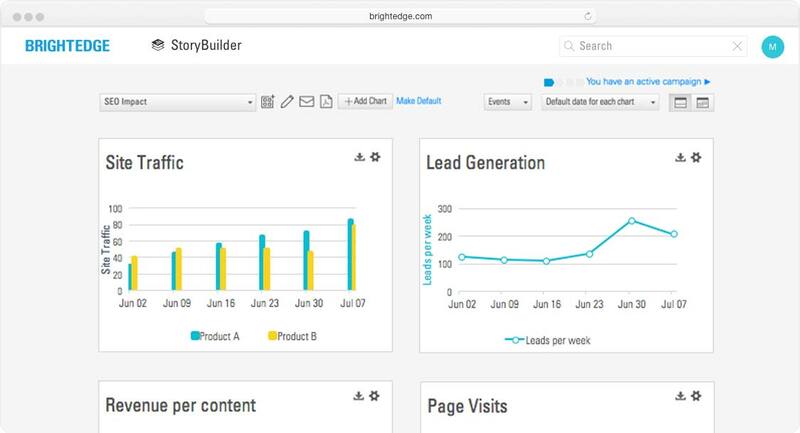 Monitor the KPIs of your new content with an easy-to-build dashboard in StoryBuilder. Did the pages you optimized see an increase in Impressions and Clicks? Did those pages see an increase in Time-on-Page, Conversions, and Revenue? Double-down on the keywords that worked, and identify other new topics to create content for. Opportunity Forecasting provides you with the projected impact on site traffic, conversions, or revenue to help you prioritize projects and make stronger business cases for your initiatives.